Holiday bright lips from RiRi ♥ MAC - with swatches! 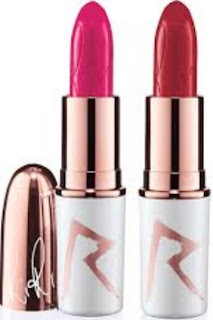 If you love a bright lip for the holidays then you need to check out the RiRi ♥ MAC collection at MAC counters now! The formula is light and comfortable and the colour sure does have some staying power but it's actually so light that I didn't feel it had enough moistness to it so I added some balm on top to give it some heft! Available at MAC counters now while they last and online at www.maccosmetics.com.